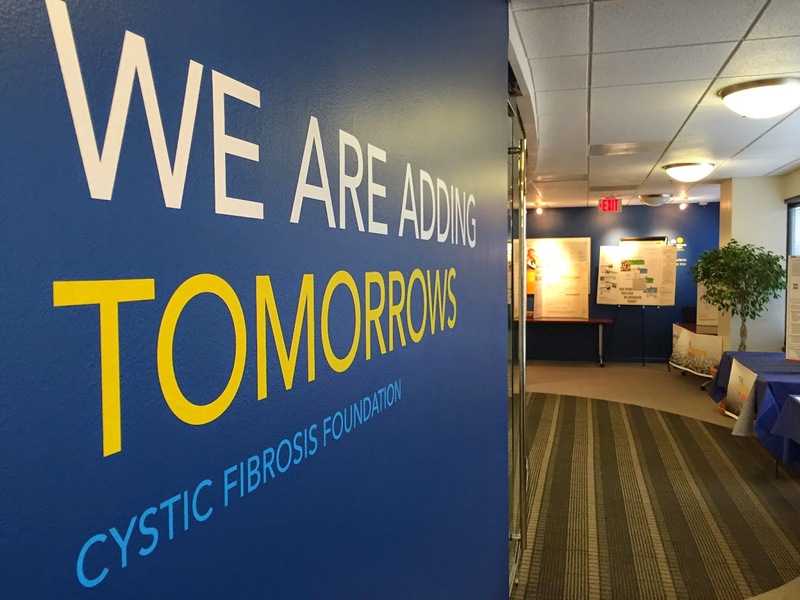 The meeting was held at the Cystic Fibrosis Foundation, which was one of the things I was most excited about. I wanted to see the headquarters of the place that employs those charged day-in-and-day-out with saving my son. 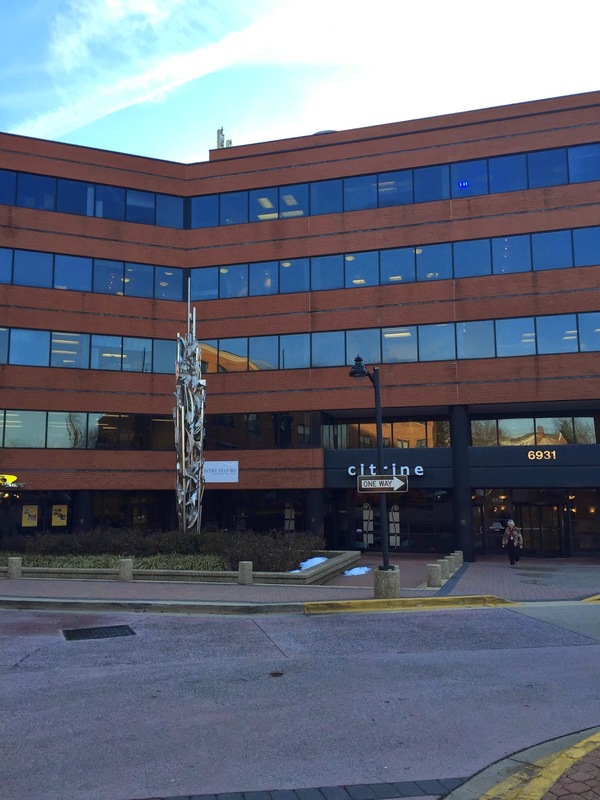 The CF offices are tucked in a modest nondescript office building. Other than a few inspiring quotes about finding a cure for CF on one wall and a few pictures of those with CF, you might not otherwise know you were at the Foundation charged with saving lives of those with Cystic Fibrosis. This building (see in picture above) houses most of the offices of those who work for the Foundation. You would never know from the outside. There is no signage stating this is the CFF and the building is shared with other businesses. I remember once hearing Bob Beall, the CEO of the CF Foundation, say that they would rather spend money on a cure than money on a building. I am so glad for that. The Design Meeting included an eclectic group. 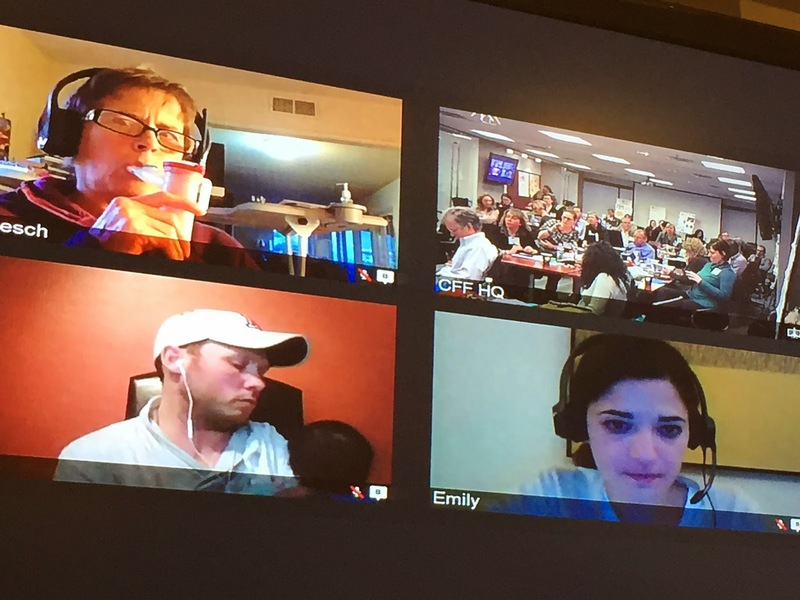 Those who were invited were made up of technology, social media and healthcare experts, CF clinicians, CF patients (all but 1 were virtual) and caregivers of CF patients. 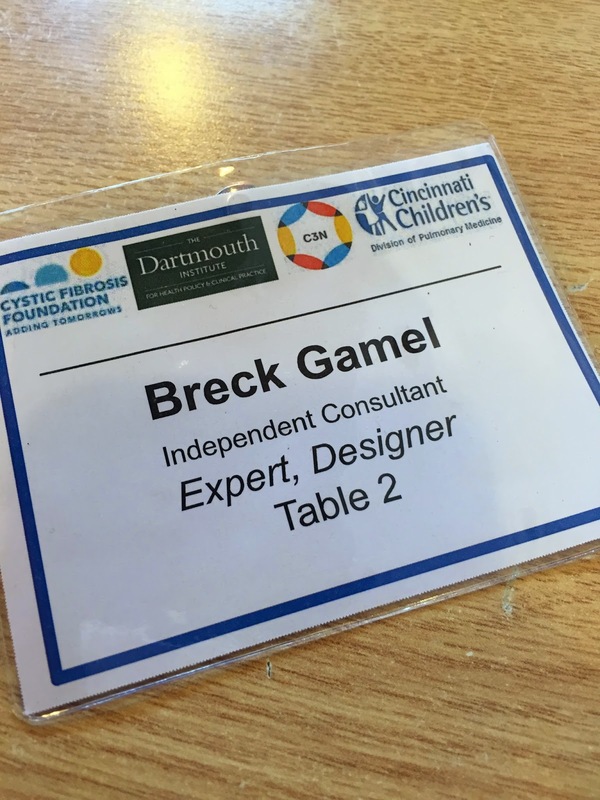 All meeting attendees had the word "designers" on our name tags, as we were being asked to help redesign the CF Care Model. But, only those with CF or caregivers of those with CF were considered "expert designers" since we know the current CF Care Model best (we use it every day). 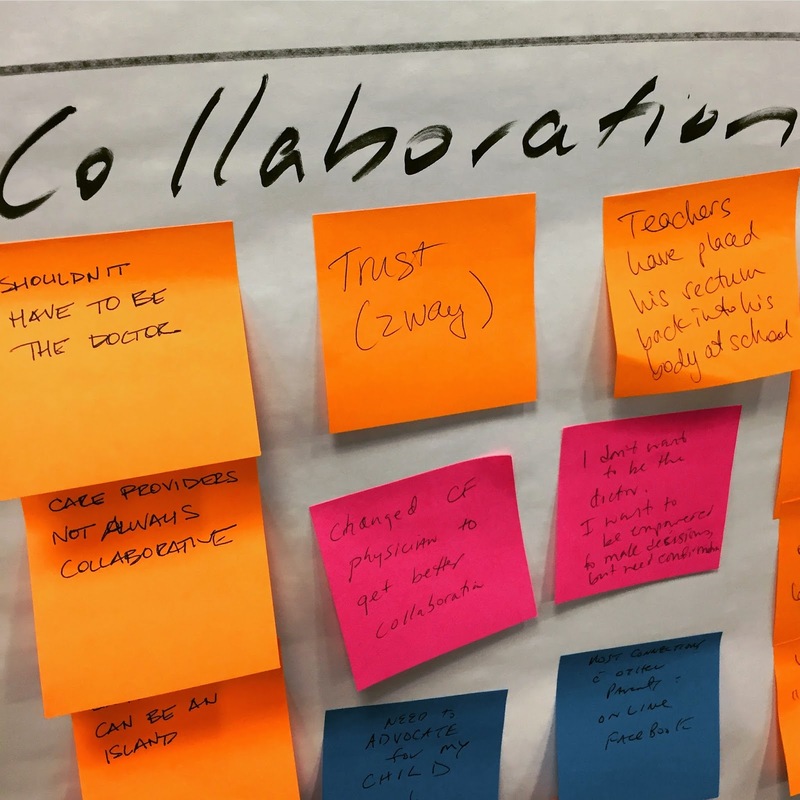 I think this really set the stage for two days of conversation in which the patients and caregivers felt their voice was as important, if not more so, as the experts in the room. Everyone was placed in pods to facilitate communication. The entire room had access to TV screens and microphones. The goal was that we be in constant conversation with each other and online. 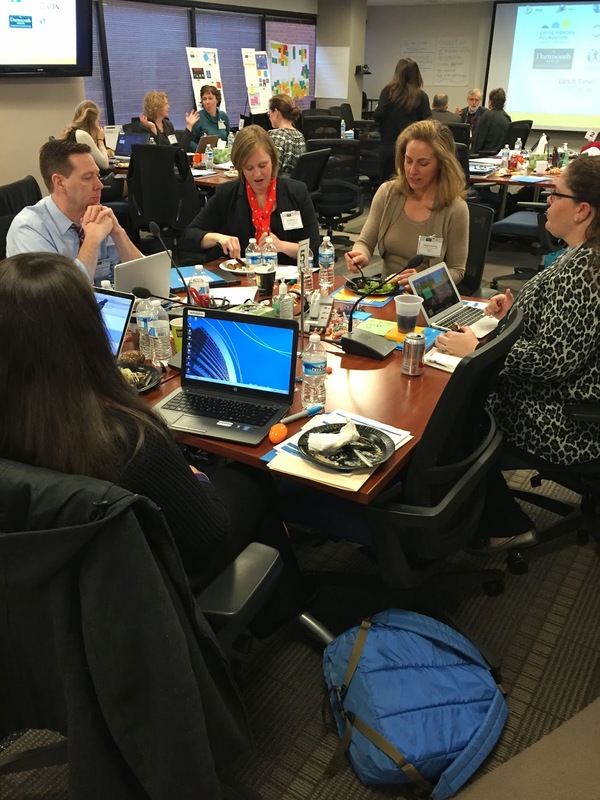 The goal was share and learn from each other and those outside of the room! 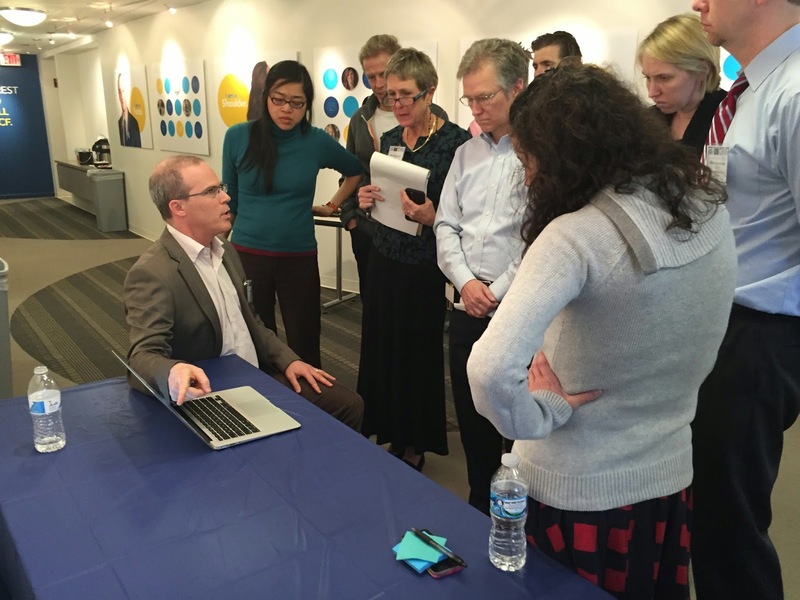 There were a handful of CF patients invited to this meeting. 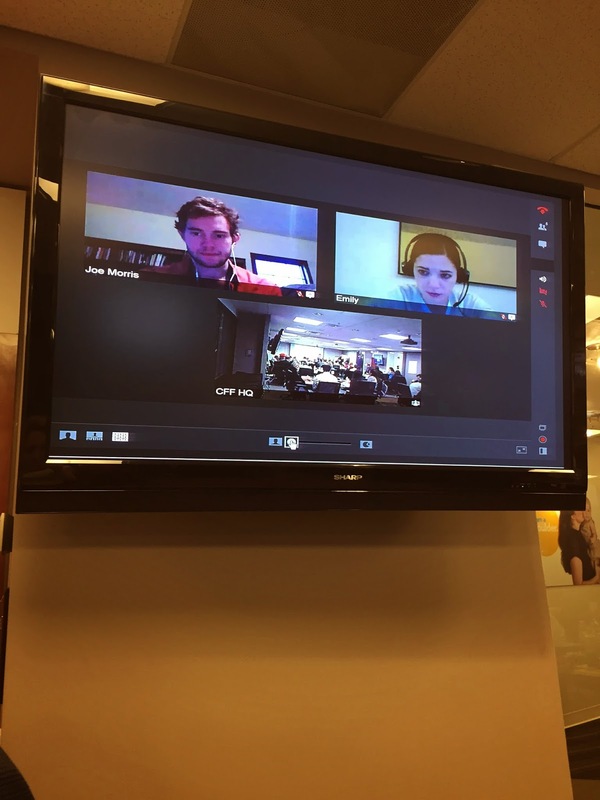 However, due to cross infection issues with those with CF, those with CF had to be virtually present (other than 1 person with CF who was present in the room with us). This is why it was very important to have monitors and microphones throughout the room. We needed to hear and see them and they needed to hear and see us. One thing I loved was how those with CF on the monitors were called ViPs (Virtual Participants/Virtual Patients). There is something about hearing the words VIP. We are conditioned to know that when someone is referred to as a ViP, what they have to say or what they are doing is important. Each time someone would say, "we have a question from our ViP" or "let's see if our ViPs have anything to say about this, " I would instinctively sit up and listen. I loved that. It really showed me that, while being present via technology is not the same as being present in person, it is possible for one to begin to forget the technology and begin to see the person as actually present. 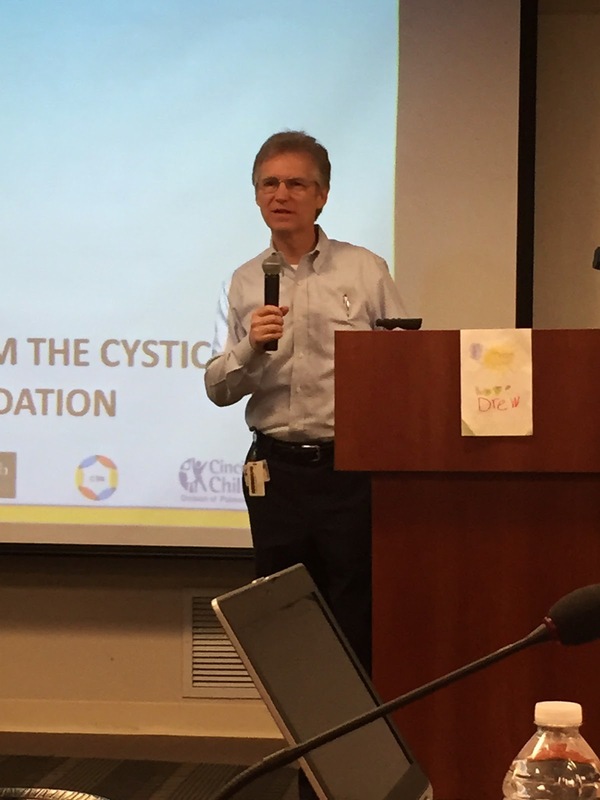 Dr. Bruce Marshall, VP of Clinical Affairs for the CFF, addressed our group at the beginning. One of the things he said that I really liked hearing was: "The [current] CF Care model was developed with minimal input by patients and families and can be improved by bringing them to the table." This is what it looked like from my seat when I turned around towards the back of the room. Everybody had a microphone nearby so focus in the room would regularly change to around the room. One of the first things we talked about when we got there was what exactly was the #CFBigIdea - what were we there to do? 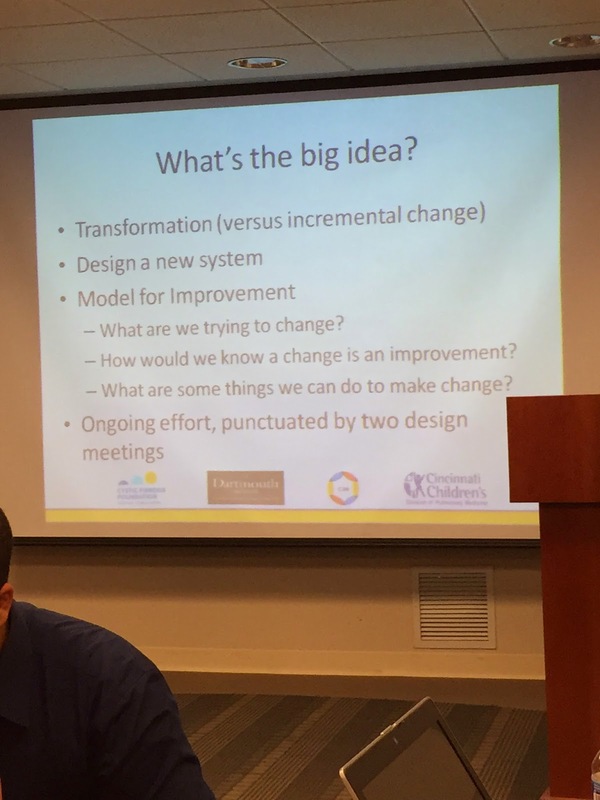 We talked about how our job is to create a transformational change, to design a new system and to create a model for improvement. Our job is to do that as an ongoing effort but punctuated by two design meetings. There will be another design meeting in the near future. One of my special jobs as an "Expert Designer" during this meeting was to share Bennett's story. During one of our break-out sessions, I was asked to tell about our life with Bennett. I shared about Bennett's birth, his surgeries, his treatments, my relentless search for help for him when no one would listen, my disagreements with doctors, my leaving one clinic and going to another, the loneliness of having this disease and the fears that come with it. 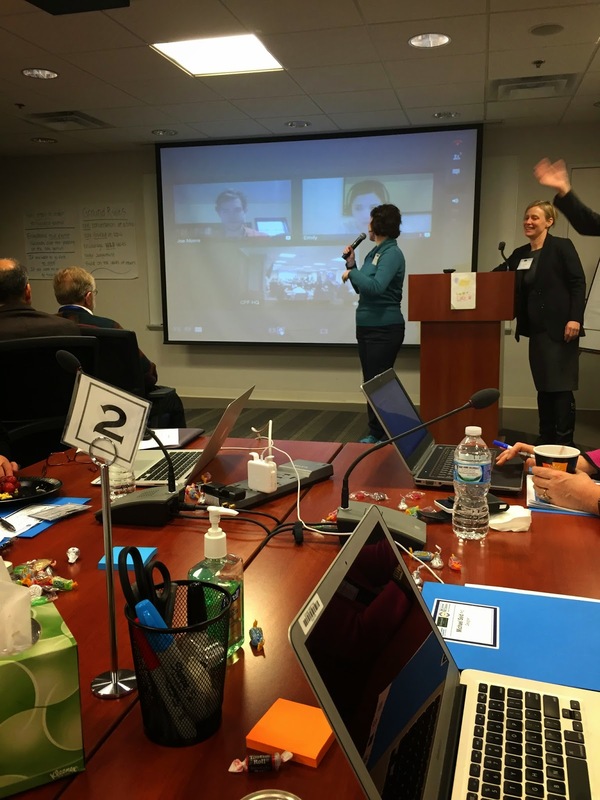 This picture is of Susannah Fox (an amazing person and a social media and health care expert) presenting my story back to the group (she's a lively so that's why her hair is flying). One of the sessions we did allowed different work groups to present research they had done ahead of time to our group about the assessment of the area of the CF Care Model they were working on. I really liked this slide from the CF Care Center/CF Clinic group. 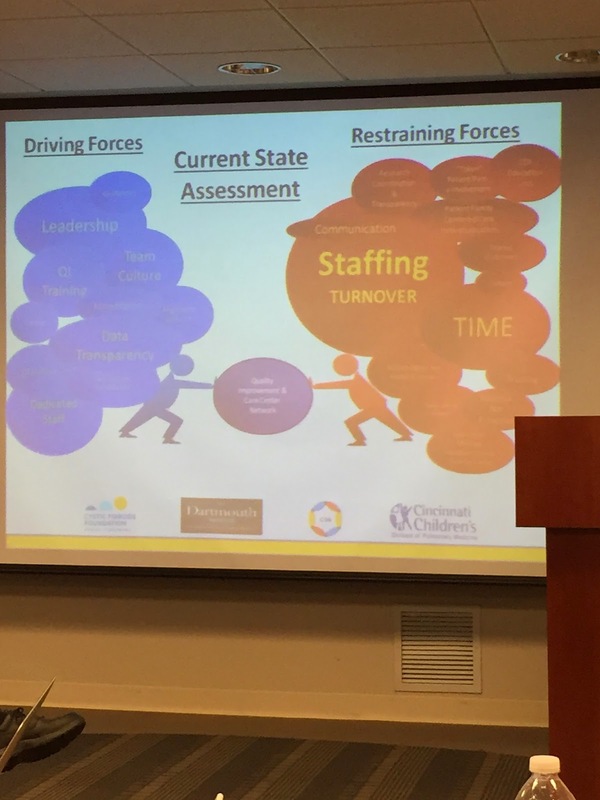 It's hard to read most of it but I it's easy to see "staff turnover" and "time" as two areas that the CF Clinics communicated they struggle with in caring for those with CF. As a patient/caregiver of a patient, I would agree that staff turnover (losing well-trained nurses, for example, or having doctors move clinics) is something that does interrupt the care of those with CF. I have also heard clinicians say that the amount of time doctors have to spend charting or the amount of time nurses spend on pre-authorizations for prescriptions so interrupt the care of those with CF. We had several workgroup presentations. It was wonderful to hear about the amount of work that is going in to understanding the current model of care so we can improve it when we come up with a new model of care. 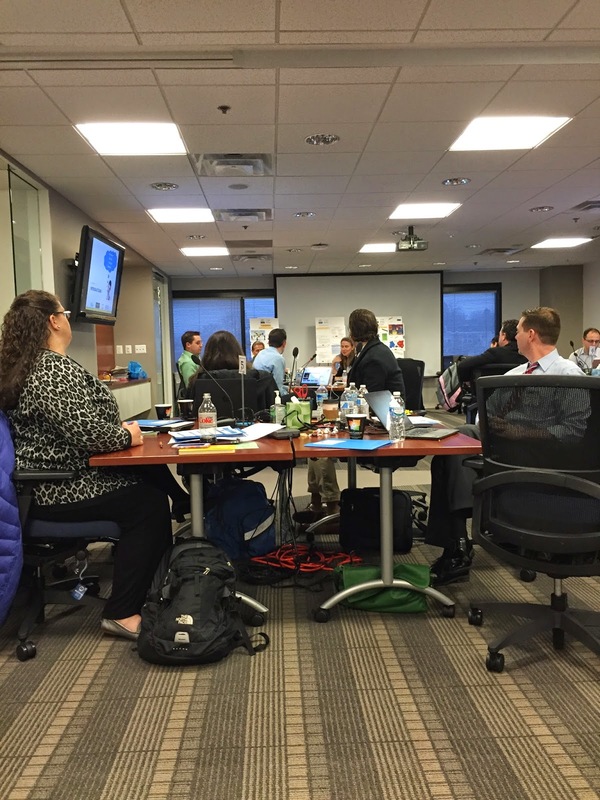 Part of the value of the meeting was the presentations and workgroups. But the other part was the conversation during lunch. I really enjoyed getting to know all of the people there. Each person was interesting as a person and added so much to the group! 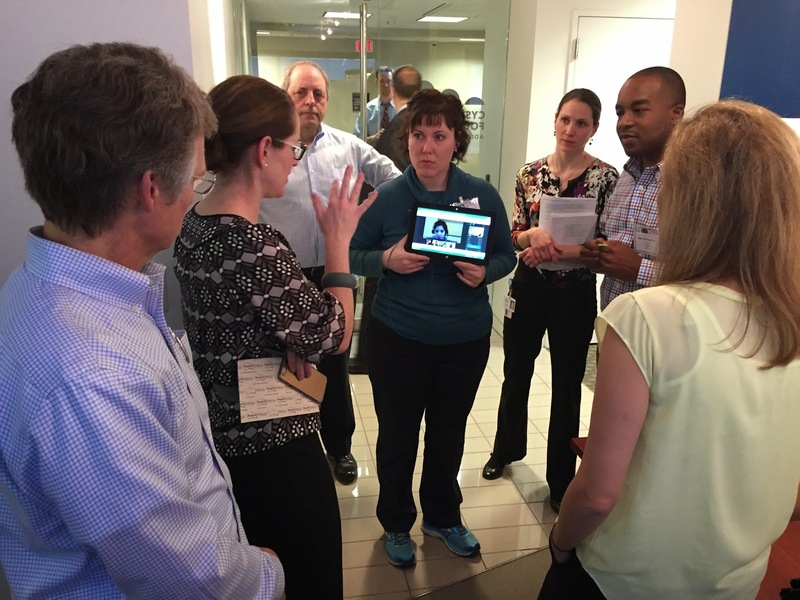 At one point, we had a chance to visit existing projects to see if we could gleam ideas from them that we might want to incorporate in our new CF Care Model. Roni, from SmartPatients, is explaining how his social community focused on patients works and how it could benefit those with CF. I love this picture alot! This is Mary Dwight from the CFF talking to Max Clemont from Nation Builder about a networking system for Adult CF patients. Sophia, holding the computer screen, was actually walking around with the virtual CF patients so they could also hear the conversations. She had an earpiece in so that she could ask a question on behalf of the CF adults listening should they want to interject. Again, I was amazed at the effort put toward trying to keep the virtual patients (ViPs) included in our meeting at every point. I really enjoyed this project. It doesn't look like serious business by the look of it. 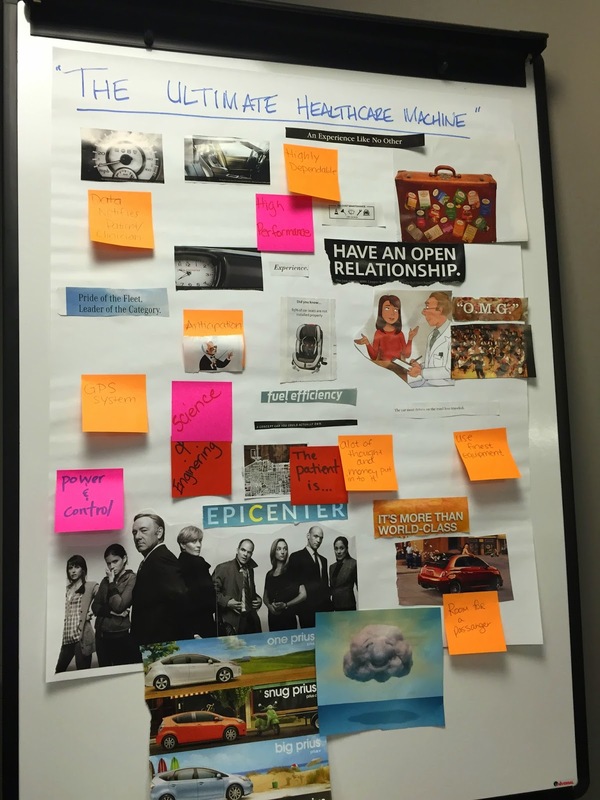 But, it was a pretty neat way to dream up a new CF Care Model. Our group were given several cards with names of successful companies in the US (such as Google, Nike, Pepsi, etc). We were to pull those cards and ask ourselves how that company might design a new CF Care Model. At the CF Care Model Design meeting, we were highly encouraged to be on our computers and tweet during the entire meeting. The hope was that we would share our ideas and gain new ones but making everything we did at the meeting public. I loved this because it pushed the conversation from being inside the room to being outside of the room. It also reminded me that, although I was fortunate to get a chance to go to this meeting, this meeting isn't just to benefit my child but to benefit all people with CF - those who are able to go to meetings like this and those who are not. 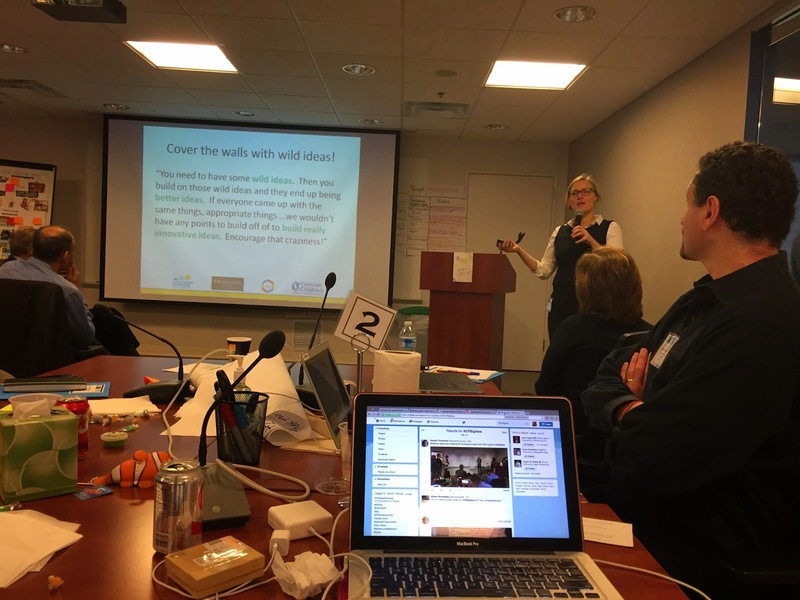 We all ought to have a voice in how we change the way we care for people with CF. 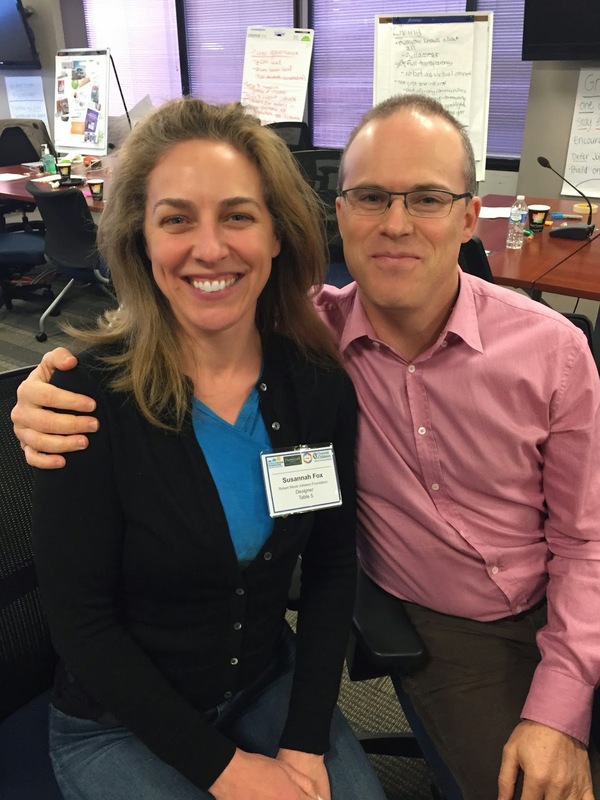 These are just two of the amazing people behind this CF Care Model Design Meeting project. The guy on the left is Michael Seid (@michaelseid11). The guy on the right is George Dellal (@georgedellai). Both are fantastic people and are SO good at what they do! 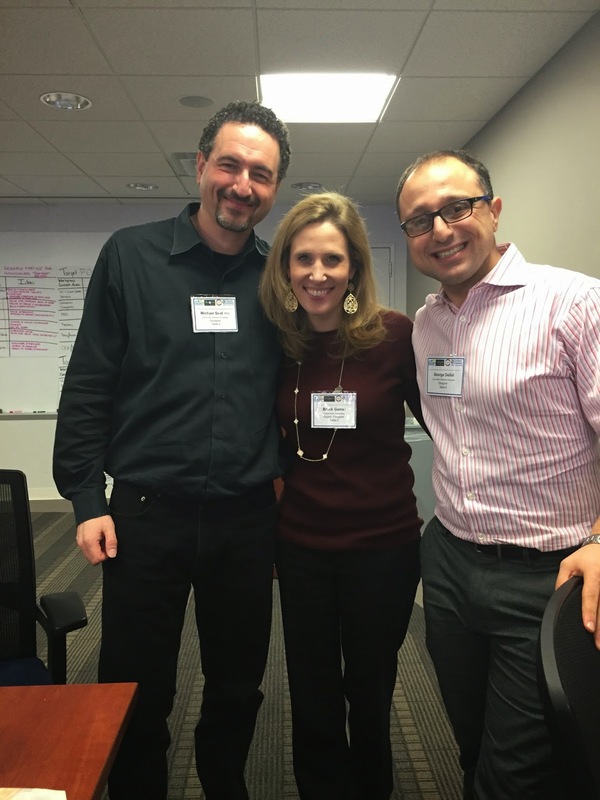 Equally as wonderful are Susannah Fox (@SusannahFox), a healthcare and social media guru and Roni Zeiger (@rzeiger), CEO of SmartPatients. I wish I had a picture of all of the people who came to the meeting because each one of them was an expert in their respective area and it was awesome to hear from such smart people. 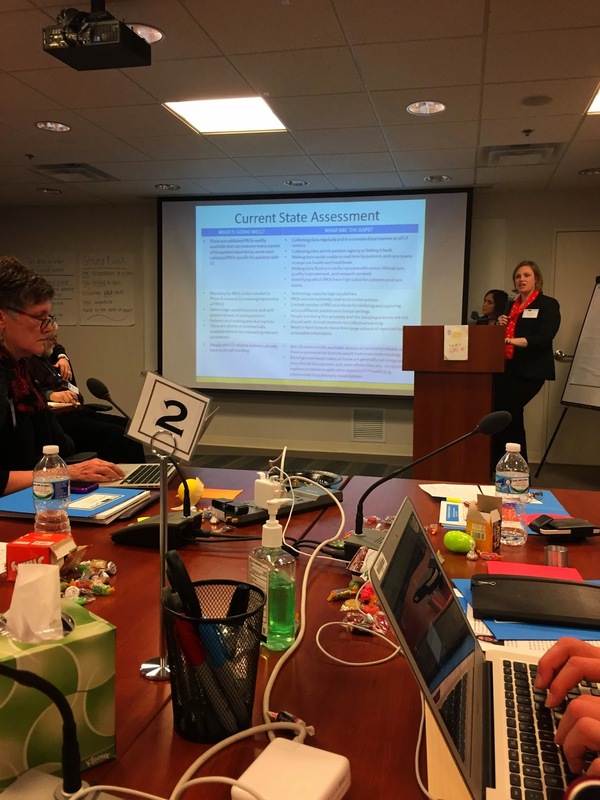 And better yet, I loved hearing those smart people dream about ways to improve our system of caring for those with CF! Probably the best part of getting to go to this meeting was getting to spend some time hanging out with this CF Mama. Erin (@ekeeleymoore), a CF mom from Ohio, has 4 kids, one of which is a 5 year old preschooler with CF (just like Bennett). We enjoy each other's company (which is usually virtual) and love learning from each other. 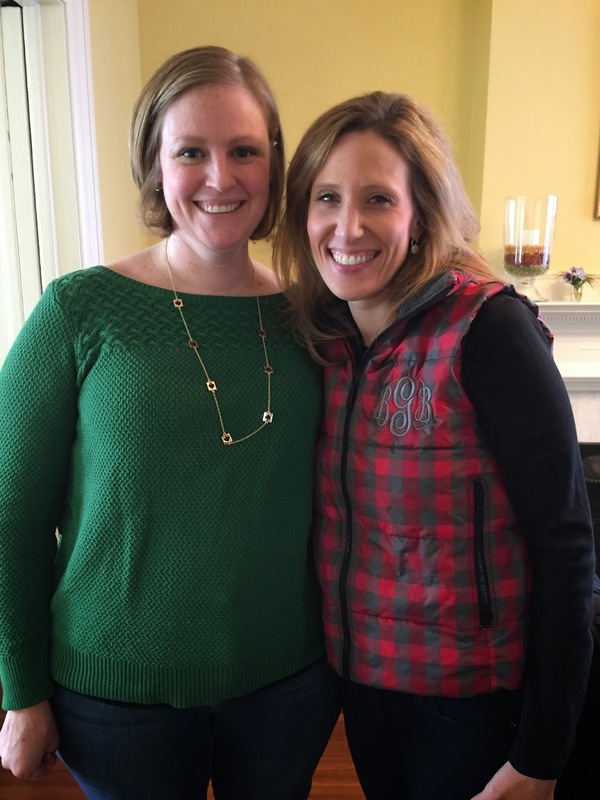 When Erin and I were hanging out together shortly before the meeting, I realized: Erin and I could very much spend our time crying with each other, for we share the same grief as mothers with children suffering from an incurable life-shortening disease. But, instead, we share each other's passion for finding a cure, fixing our CF care system and living life to the fullest in the meantime. This trip was an amazing opportunity. 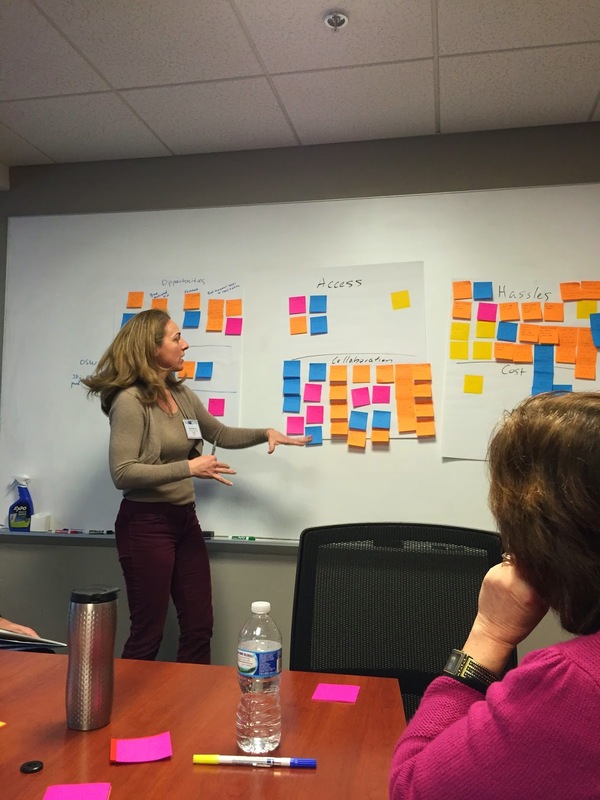 Work on designing a new care model is continuing to happen right now! I will share more updates as I have them but for those with CF who might want to weigh in with their own ideas and suggestions, tweet us using the hashtag #cfbigidea. Something better is on the horizon! !